At Palm Air, we want to provide you comfort not just inside your home, but inside your pool as well. Whether you are an early bird who loves to swim first thing in the morning or you love an evening dip after the sun goes down, a pool heater can turn your experience from average to luxurious. Palm Air’s highly efficient, affordable, and dependable pool heaters are built to last. Although temperatures here in South Florida rarely dip for long periods of time, a comfortably warm pool is ideal any time of the year. But if you want the ultimate satisfaction with your pool’s heater, you should also rely on a company who ensures energy efficiency to keep your bills low as much as possible. 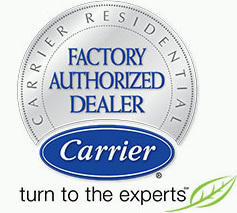 Turn to our experts to get the best pool heaters in the industry and, as always, the highest quality service. At Palm Air, we want to provide you comfort not just inside your home, but inside your pool as well. Although temperatures here in South Florida rarely dip for long periods of time, a comfortably warm pool is ideal any time of the year. And beyond comfort, keeping your pool well heated can boost its value and allow you to swim all year long. If your pool heater isn’t providing you with ultimate comfort, Palm Air’s expert technicians can get it back up and running in no time. Whether you are an early bird who loves to swim first thing in the morning or you love an evening dip after the sun goes down, a pool heater can turn your experience from average to luxurious. But if you want the ultimate satisfaction with your pool’s heater, you should also rely on a company who ensures energy efficiency to keep your bills low as much as possible. Palm Air’s highly efficient, affordable, and dependable pool heaters are built to last. 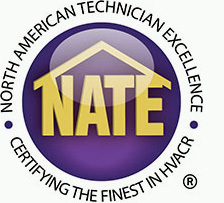 Turn to our experts to get the best pool heaters in the industry and, as always, the highest quality service. Give us a call at 561 922-3199 or request an appointment below.